Divorce can be very expensive. It can leave either spouse at risk for financial disaster, including bankruptcy. There are practical measures you can take to minimize your costs or, at least, keep them under control. 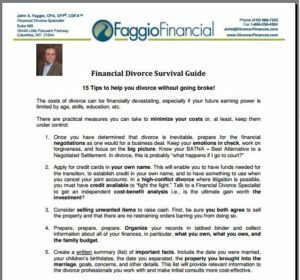 Complete our form to the right for your free download of our 15 Tips to Help You Divorce Without Going Broke.